Greetings to you all for the New Year. 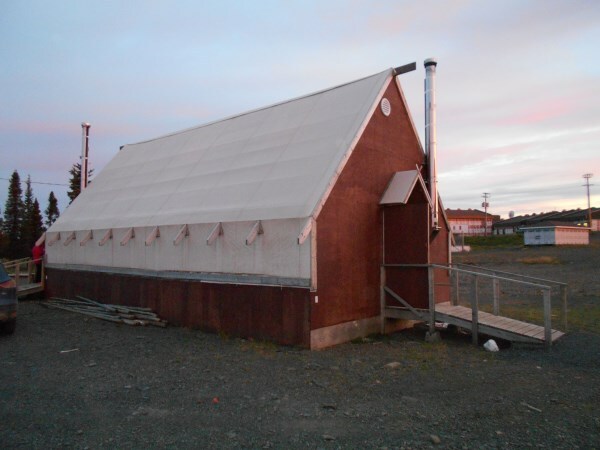 We would like to share some exciting news from the New Oji-Cree translation project that has been going on in Kingfisher Lake. 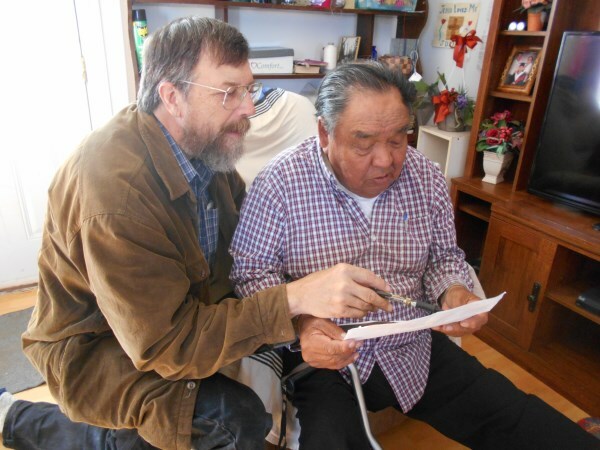 You will recall that the a new Oji-Cree Bible translation project was started by the Indigenous Spiritual Ministry of Mishamikoweesh a couple of years ago. Since then, they have been working on a project to prepare Sunday readings from the the “Prayer Book Lectionary” for their church in Oji-Cree. 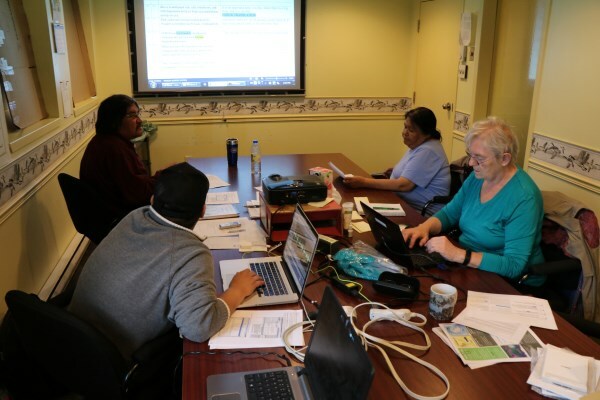 On a week-by-week basis, the translation team has been translating, team-checking and community-checking the Epistle and Gospel readings in Oji-Cree for their Sunday morning vernacular language services. 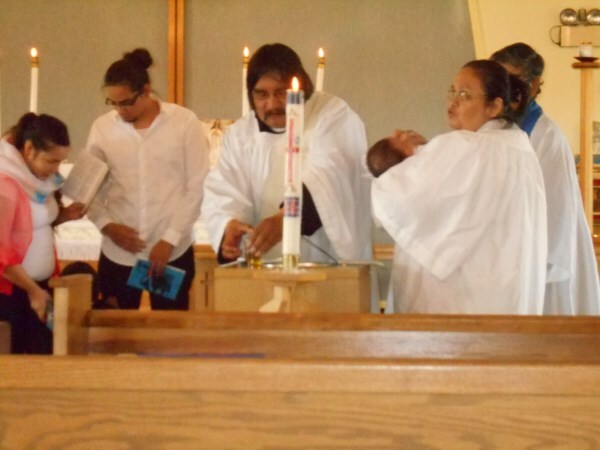 A Lectionary is a collection of Bible readings to be read to the faithful during the worship of God. Lectionaries have been used since the fourth century, where major churches arranged the Scripture readings according to a schedule which follows the calendar of the year. This practice of assigning particular readings to each Sunday and Holy day has continued through the history of the Christian Church. 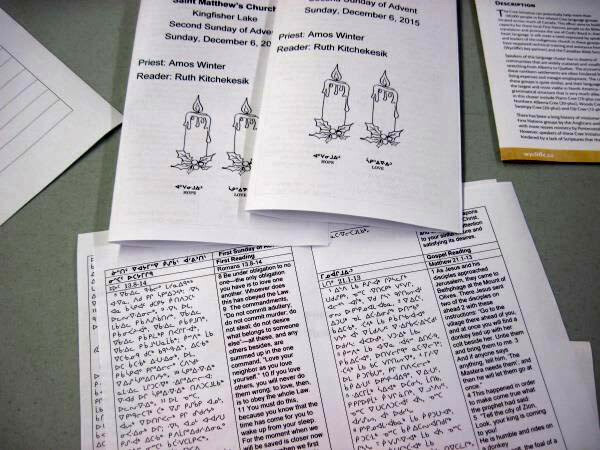 Even though each Sunday these readings are printed and distributed in leaflet form for the congregation, they are still considered a “work in progress”, until they would be properly checked and approved by a translation consultant. 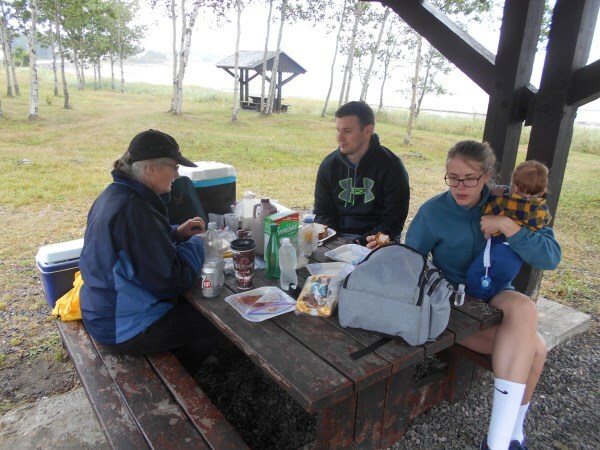 In November (just after Bill’s accident with the tree, ladder & chainsaw), translation consultant Meg Billingsley went to Kingfisher Lake again to work with the translation team in order to help them carefully check their translation and approve it for publication. 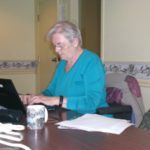 WIth Meg’s help, the team was able to complete the consultant checking for all the Epistle and Gospel readings for the season of Advent up through Christmas. 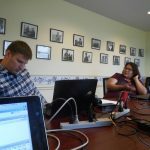 At the same time, they also reviewed and approved the layout for a published “book version” of the Lectionary readings. 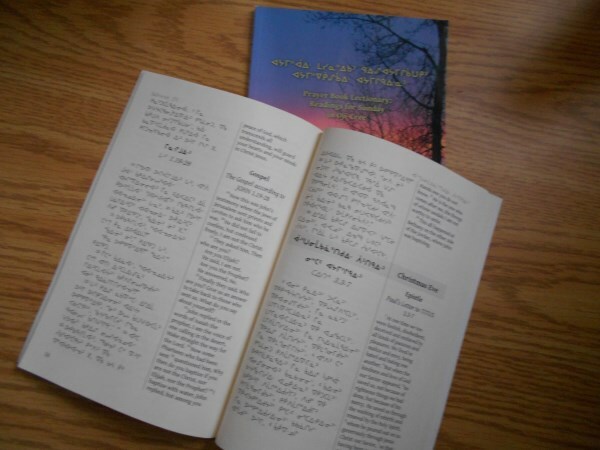 The checked and approved text was formatted and typeset in diglot (by Bill) in Oji-Cree and English and is their first publication of the New Oji-Cree translated Scripture in book form. 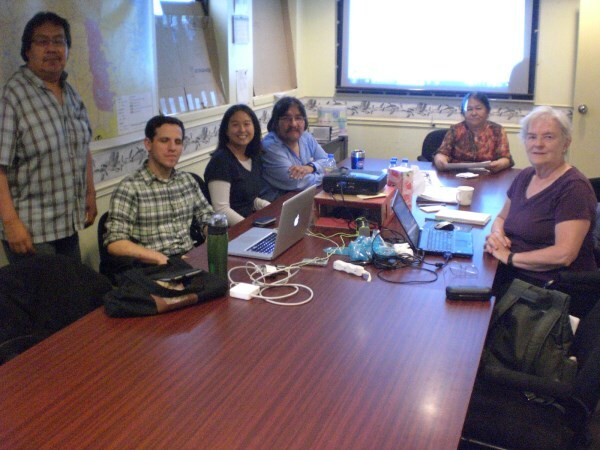 The team is making plans to continue the translation steps and consultant checking that need to be accomplished for each section so that soon an entire year of Sunday Lectionary Readings will be available and accessible to the community in book format. 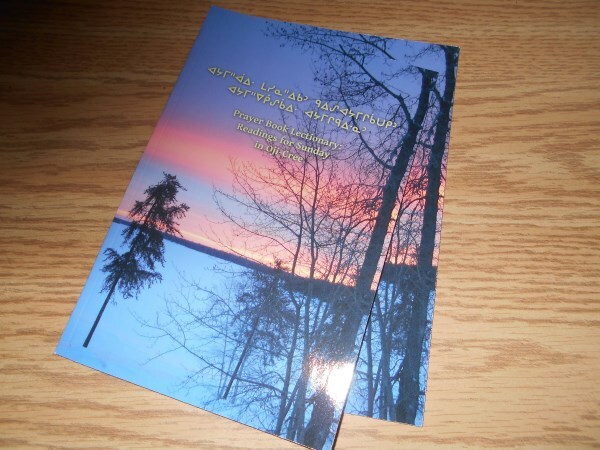 As more of the new Oji-Cree translation is completed and approved, further editions of this book will be produced that contain more and more of God’s Word in the heart language of the Oji-Cree people. 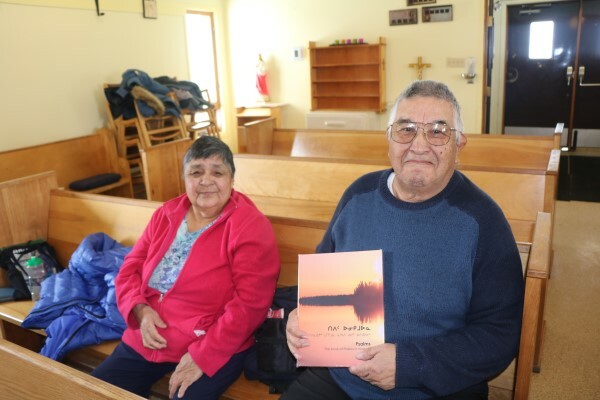 Praise God with us and celebrate that these very first Scriptures to be published by the new Oji-Cree translation project have been completed, delivered and used in the church at Kingfisher Lake. 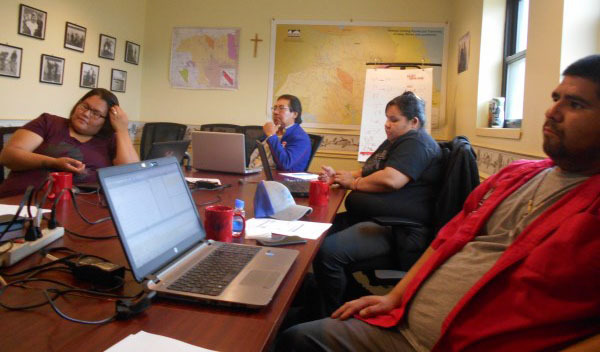 Pray with us for the Oji-Cree team as they continue to make progress toward their translation goals, for their plans for another checking session with a translation consultant, and as they await having Matthew & Caitlin Windsor come to their community to work with them full-time once the Windsor’s internship with Naskapi is completed. Lord willing, this will happen in the late spring of this year. 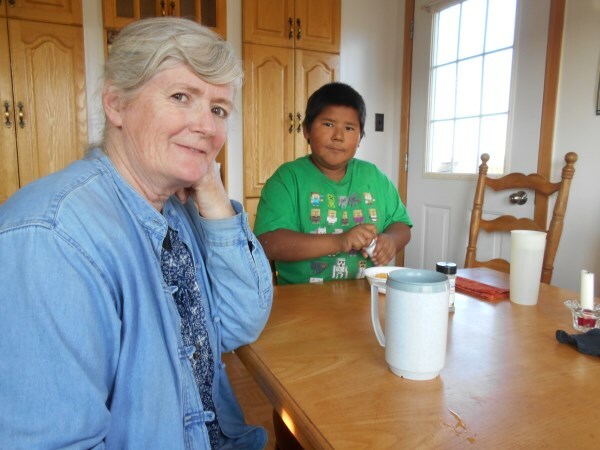 Thank you for your interest in First Nations Bible Translation, and for your prayers. 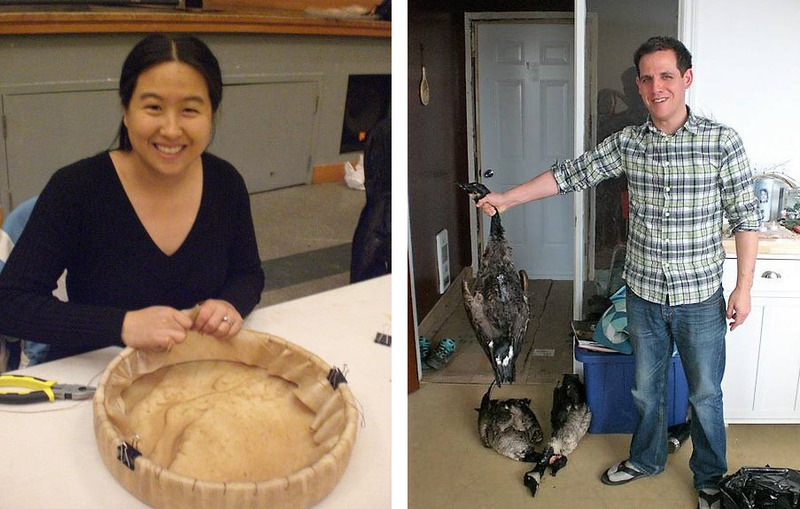 Last week, Alice & Martin Reed finished their 8 month internship with the Naskapi language project in Kawawachikamach. 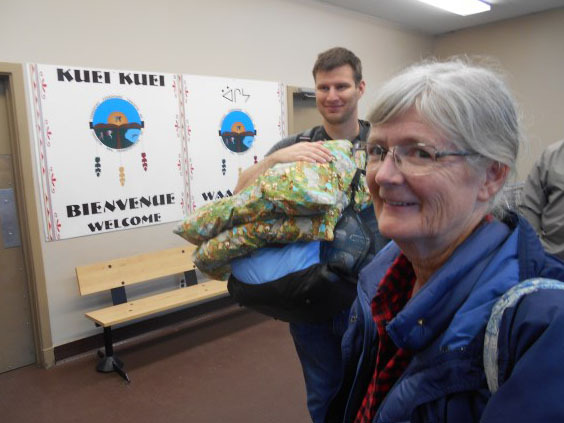 This weekend they were with us in our home and we just brought them to the airport for their first visit to Tataskwekak (Split Lake) in Northern Manitoba, where they will be serving in the new Mistah Wasaha Inenowuk translation project. 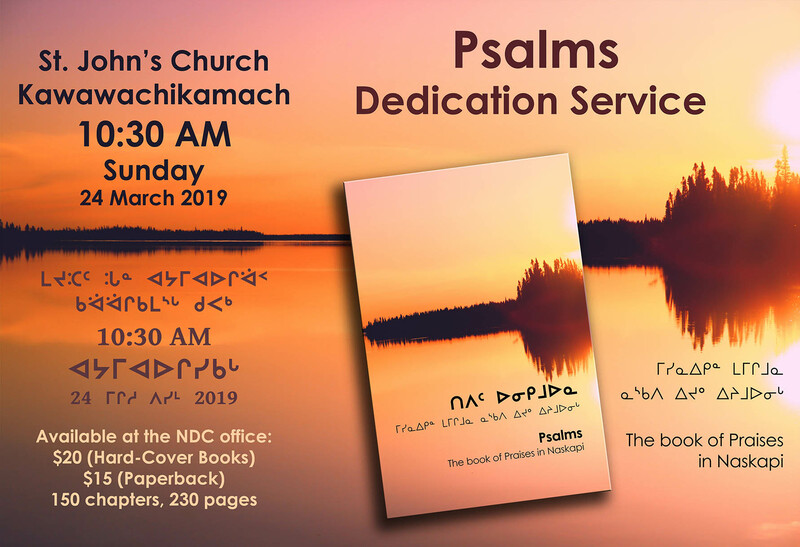 The speakers of this language, which is referred to as “Western Swampy Cree” by linguists, will be sharing their vision with the Reeds, and what God has laid on their hearts for a Bible translation and language development project into their own mother tongue. 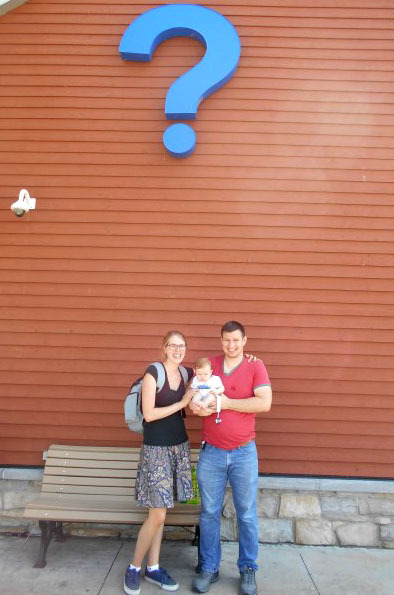 Please pray with us for the community and their leaders this week, and for Martin & Alice as they listen and learn how God can use them in this work. They plan to be there from Nov 6-14. We know you share our excitement and anticipation of seeing what God has planned for bringing His Word to this language community. 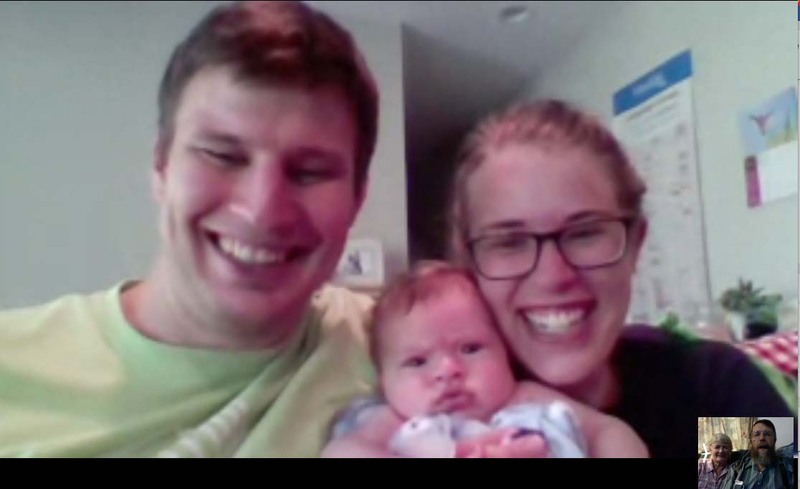 Thank you so much for your encouragement and your faithful prayers! So many of you have shared with us that you would be praying about my trip to Split Lake Manitoba. We are so excited to tell you about how your prayers have been answered in wonderful ways. 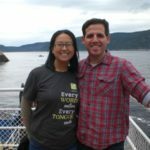 The church and community leaders have invited us to send Alice & Martin Reed, one of the new Next Generation language development teams that has been serving their internship with the Naskapi translation project, to help them begin their own Swampy Cree translation project at Split Lake. Thank you so much for your faithful prayers! 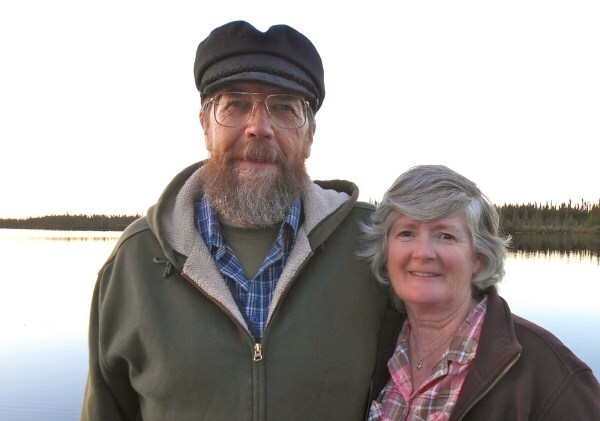 Thanks to all of you who prayed for me (Bill) as I have been preparing for the October 6-7 trip to Thompson Manitoba. 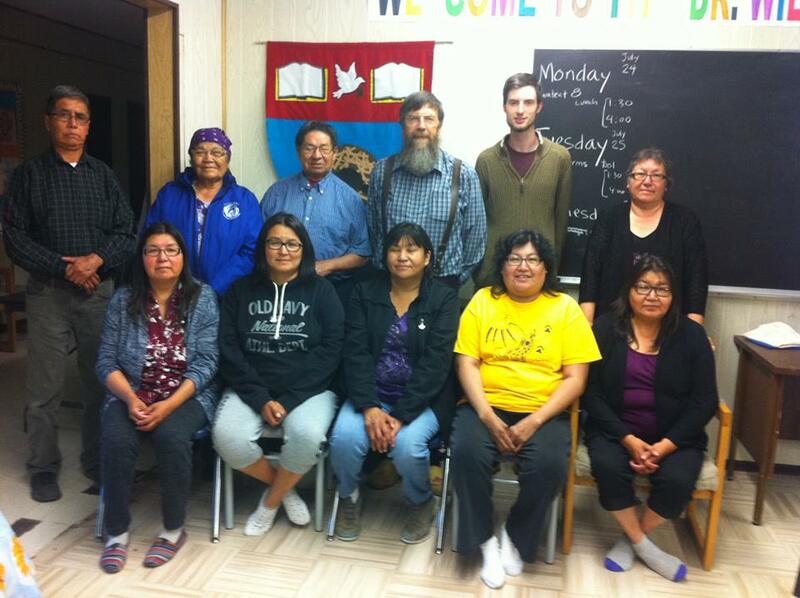 I had been invited to meet with Anglican First Nations clergy there at their Northern Manitoba General Assembly. 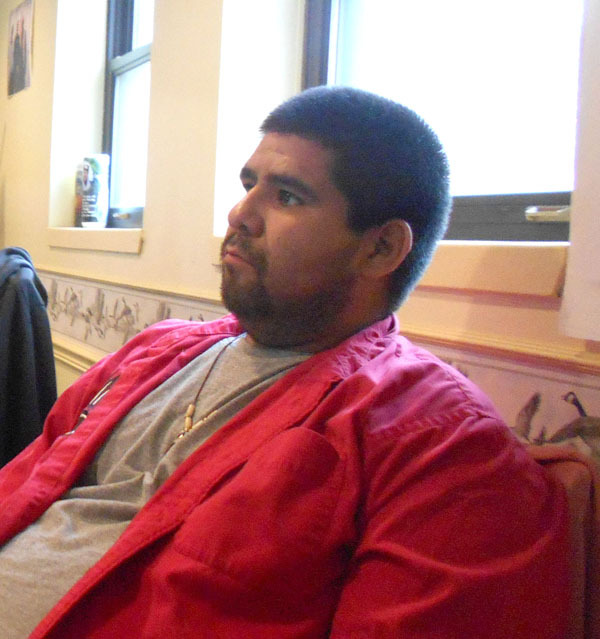 But over the past few days the organizers found it necessary to cancel their meeting until after the new year. 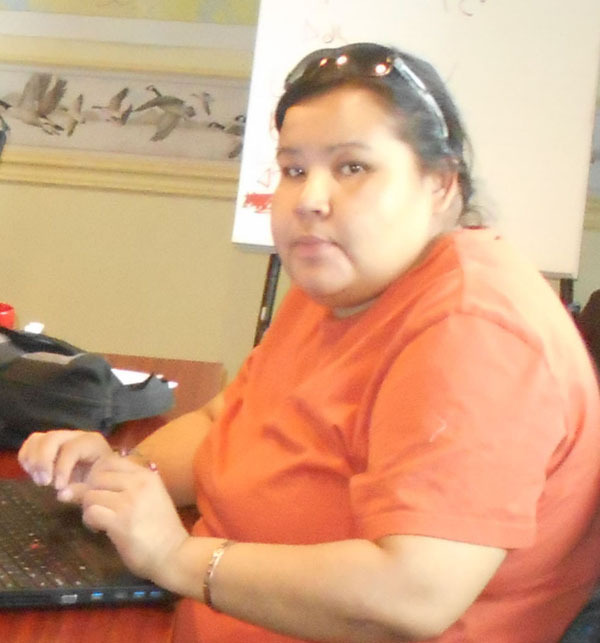 But they urged me to make alternate plans to travel there anyway to meet with some of the Swampy Cree speakers and church leaders about Bible translation as soon as possible, in particular, the Rev. Larry Beardy in Split Lake. 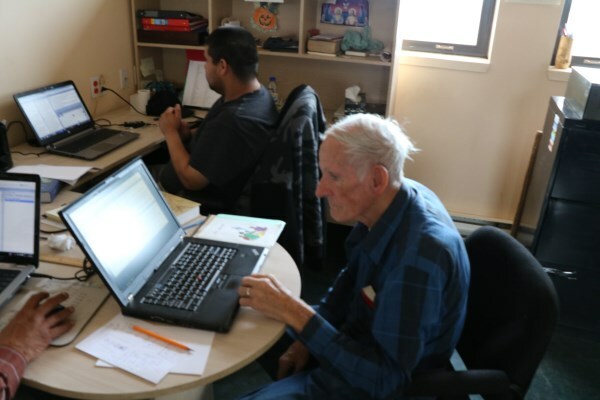 Last week I was able to speak with Larry, who suggested that I come to visit him in his Swampy Cree community at Split Lake Manitoba (Tataskweyak) at the school where he teaches Cree during the week of October 15th. 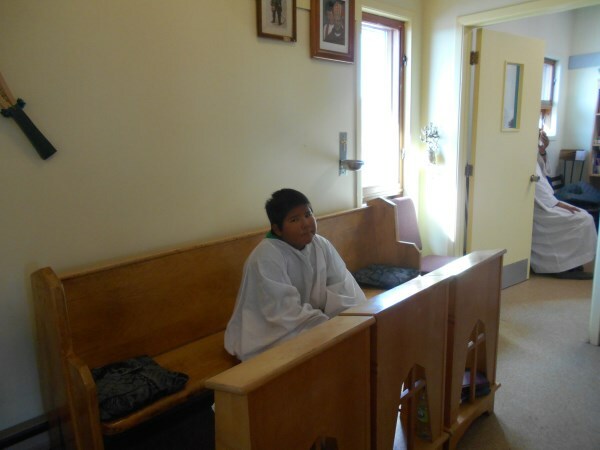 He said that he would like me to make a presentation to his Cree class about First Nations Bible Translation, and it would also be an opportunity for me to speak with him about how we might be of assistance in helping him and his people take steps toward having a Bible translation program started for his language community. So, I contacted the airlines and learned that I could make a change in my tickets for a fee, which I have done. 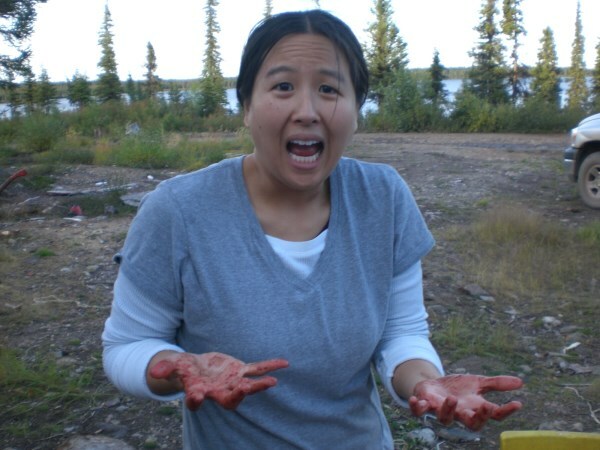 Now I leave for northern Manitoba on Saturday October 14th. Plans are slightly different now, but clearly God is at work refining the details, keeping us dependent upon Him. 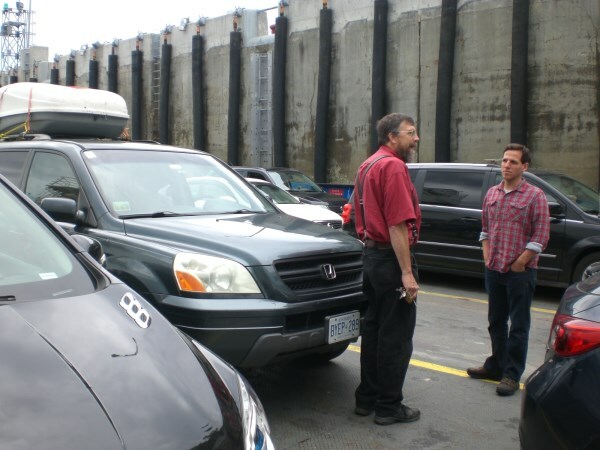 On October 6 Bill leaves for a trip to Thompson Manitoba. 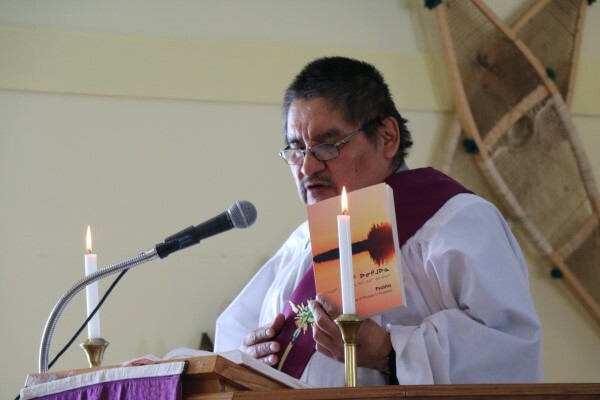 He has been invited to meet with Anglican First Nations clergy there at their Northern Manitoba General Assembly. 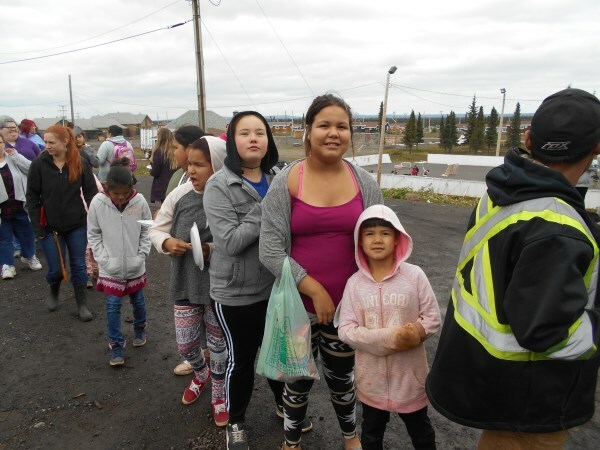 Their leaders have asked Bill to come share about how God has used Bible Translation in other First Nations languages like Naskapi and Oji-Cree to communicate His message of hope and healing. 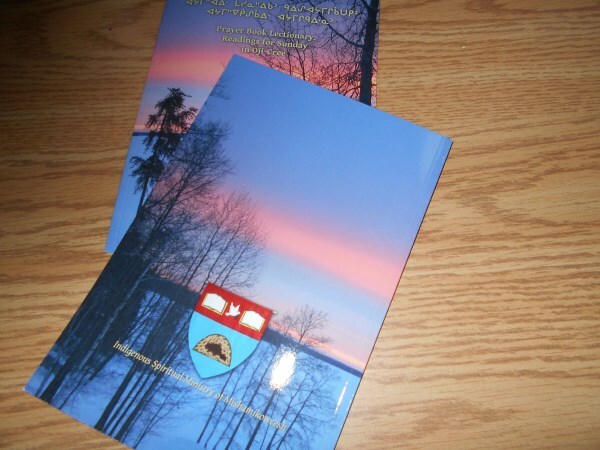 Speakers of the Swampy Cree language have been using an old translation of the scriptures in the Plains Cree language for generations, and are interested in learning how they may start a translation program of their own into contemporary Swampy Cree, just as several other language communities have done in recent years. 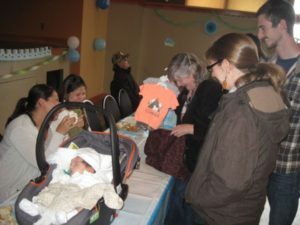 Bill will be sharing about the opportunities and resources available to help them gain capacity to have God’s Word in their own mother tongue, including the First Nations Mother Tongue Translator (MTT) workshop series. 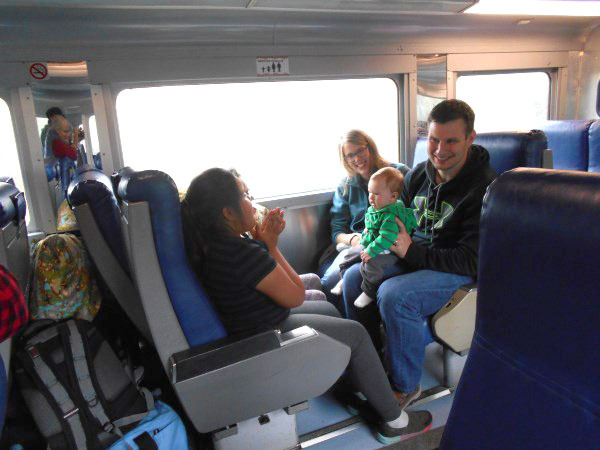 We value your prayers for travel safety, good relationships and God’s leading and direction in our lives and theirs. 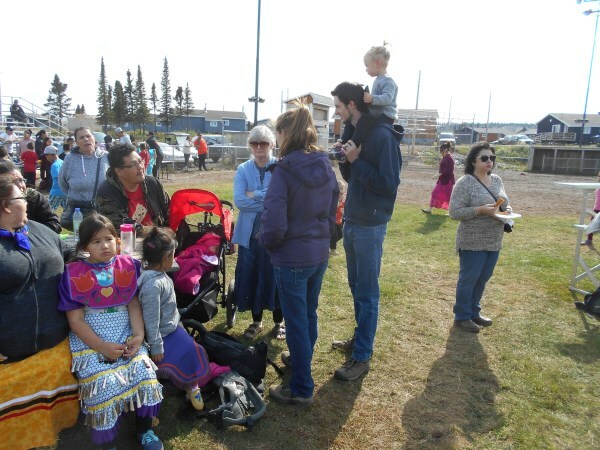 Norma Jean and I returned from our fall trip to the Naskapi Translation Project at Schefferville and Kawawachikamach late in the day Monday 11 Sept 2017. This trip had multiple purposes—mainly to connect with Alice & Martin Reed, who have been serving their 8-month internship there with the Naskapi translation project since March, and to bring Matt & Caitlin Windsor with Hazel there to begin their own internship with the Naskapi. 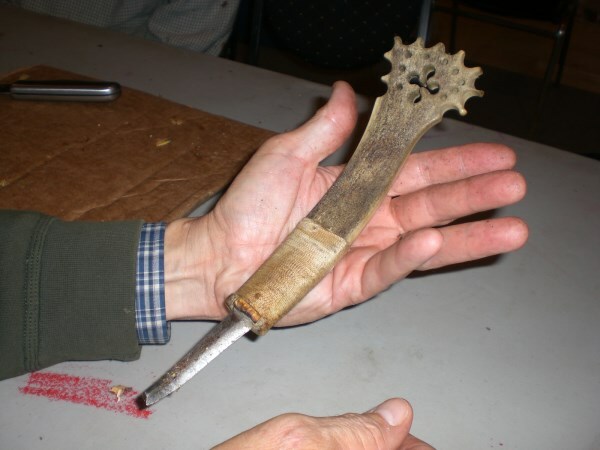 Why are we all with the Naskapi? 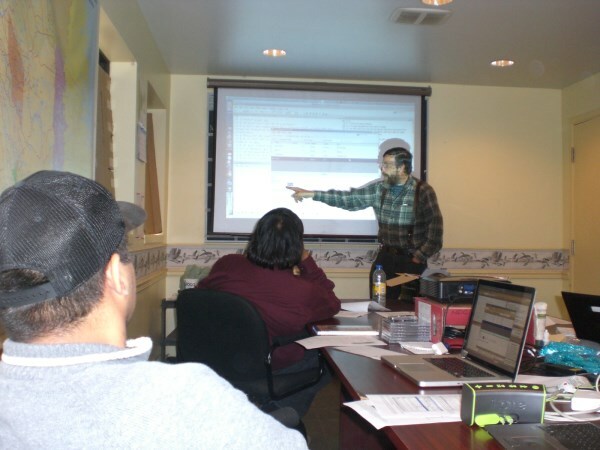 You may recall reading about the First Nations Bible Translation Capacity-Building Initiative on these pages. 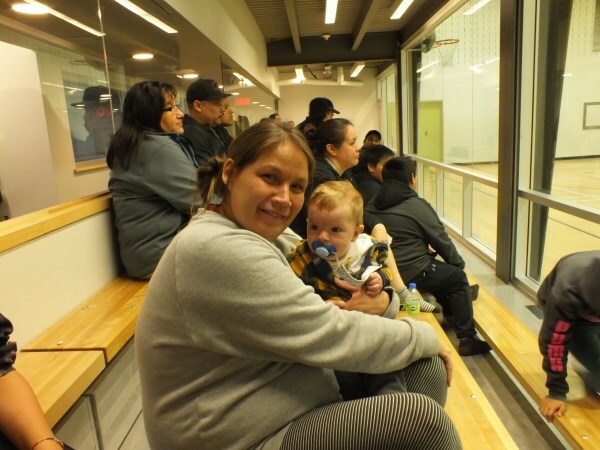 God is at work bringing his message of hope and love into First Nations communities across Canada. 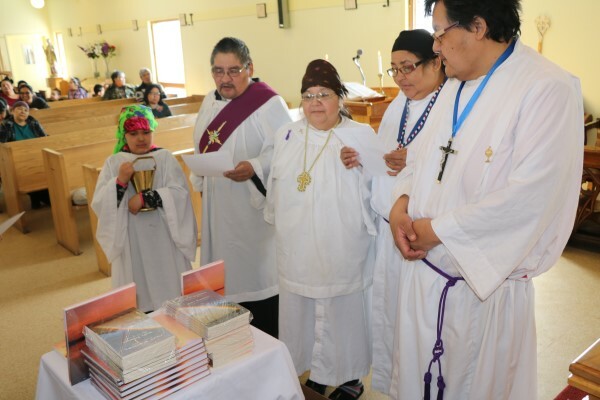 The Naskapi community continues to be an inspiration and example to other First Nations language communities to have the Word of God in their own mother tongue too. These language communities have asked for help doing this–and God has blessed us by growing our team with the Next Generation of Language Program Facilitators, like the Reeds and the Windsors. 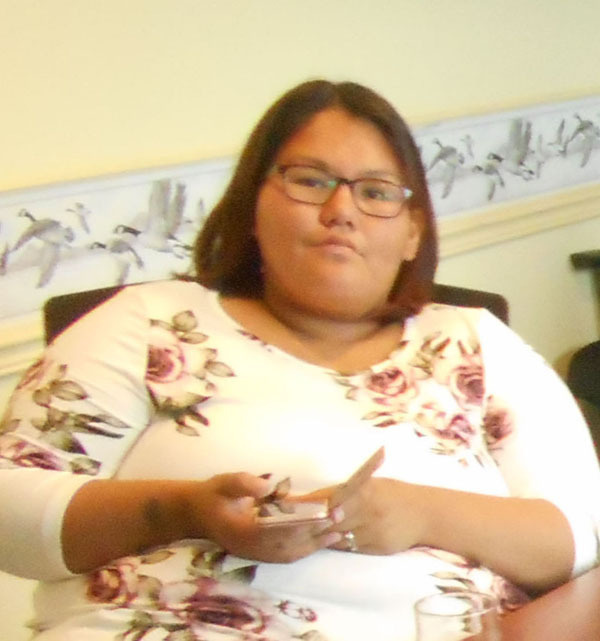 They have been invited to serve in the Naskapi language program as “Linguistics Interns”, as they learn to live in an isolated northern First Nations community and work along side the Naskapi translators in their language program. 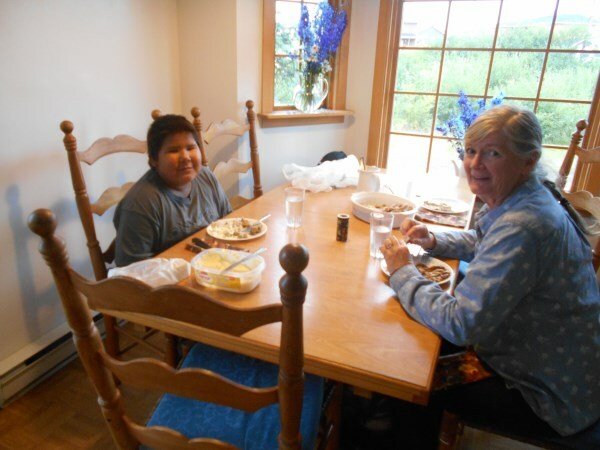 The trip went well, and we feel that Alice & Martin have been doing very well serving the Naskapi project since their arrival there last March. 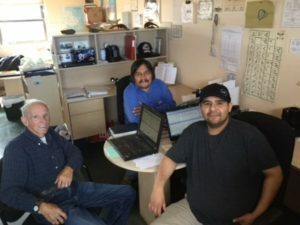 They have been helping the Naskapi team and administration to focus and prioritize their Bible translation projects and to move them along with manageable and concrete goals. 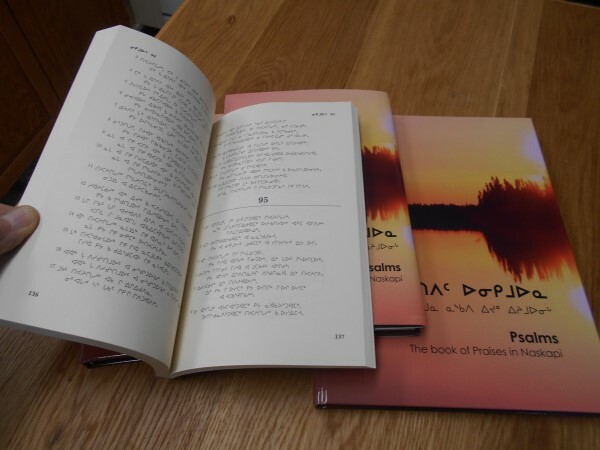 Several more chapters of Exodus have been team-checked for consistency and naturalness under Alice’s guidance, and a publication of the book of Psalms in Naskapi is underway. 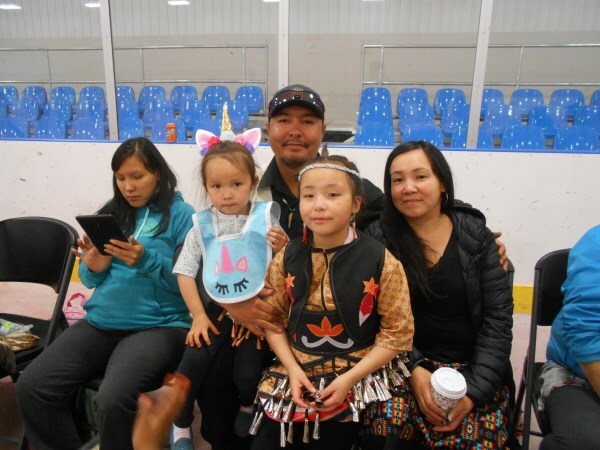 At the same time, they have made remarkable progress in language learning, integrating their lives into Naskapi community and culture, and building deep relationships. They will be ready to move on to their own assignment by the first week of November. More about that below. 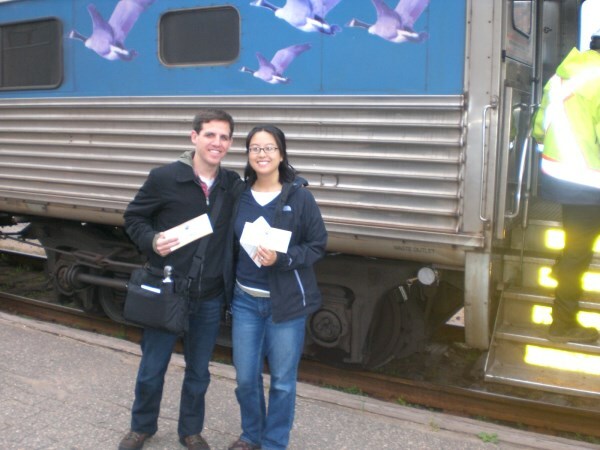 Matthew & Caitlin survived the long, long road trip with us starting on August 20, and then the train trip to Kawawa on August 24, arriving around midnight. 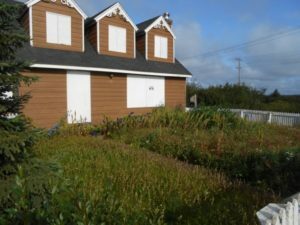 They moved into Ruby Sandy-Robinson’s house which had been vacated (and cleaned and prepared) by Alice & Martin a couple days before. 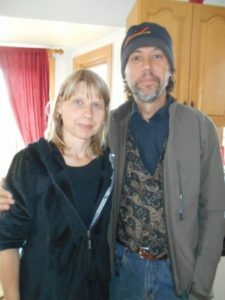 Alice & Martin were offered to house-sit at another Naskapi house in the community a few doors away from Ruby’s house where they were staying. This allowed the Windsors to have more space which they needed at Ruby’s house. Ruby remains very happy to host the interns in her home. 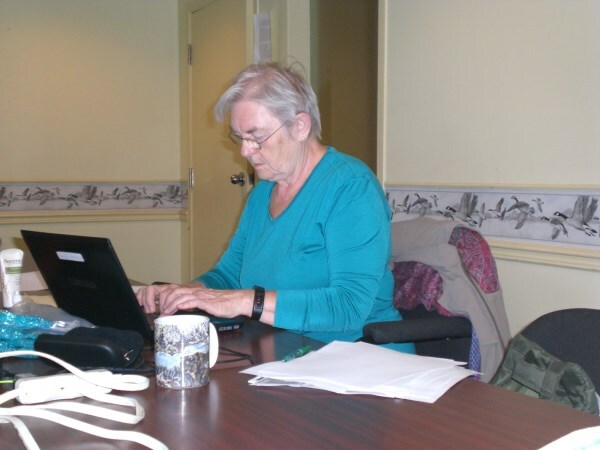 Dr. Marguerite MacKenzie, a linguist from Memorial University in Newfoundland, also came to work at the Naskapi Development Corporation offices on the review and editing of more Naskapi stories and legends, as she has done for the past several years in the month of September. 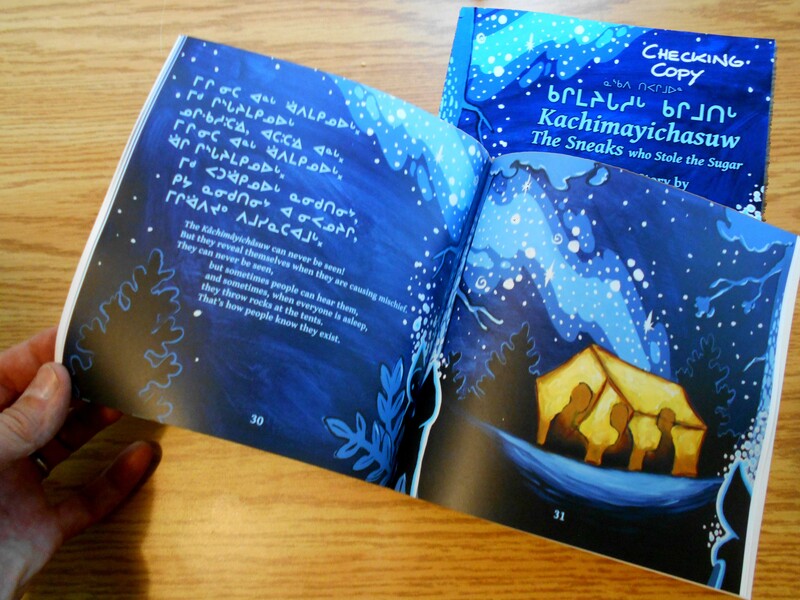 Recently Bill coordinated the production of the next Naskapi story book ᐃᔅᒂᒋᐛᑎᓂᓱᐅᒡ — Caught in a Blizzard, which, like many of the recent Naskapi books was illustrated by our daughter Elizabeth. 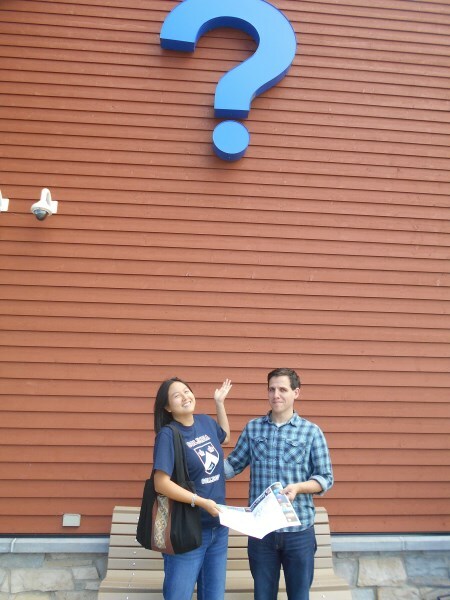 The new print copies arrived at Kawawa during this trip. 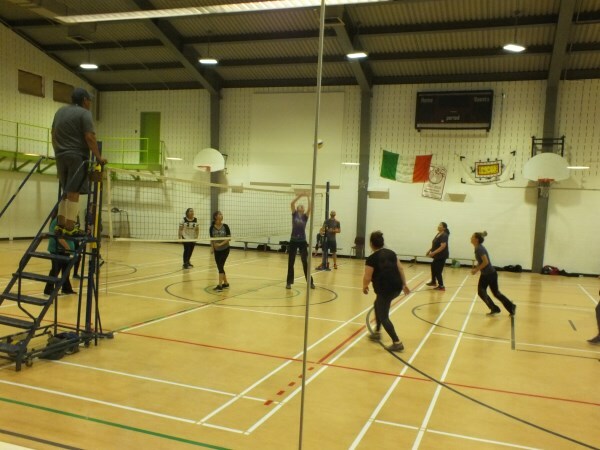 We were very encouraged by the way that both new Wycliffe teams, the Reeds and the Windsors, worked together and with their Naskapi hosts. 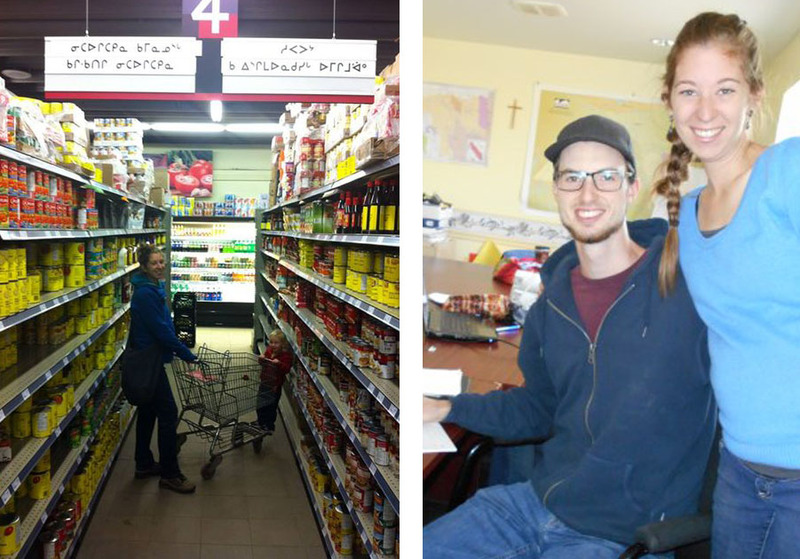 We ask that you remember to pray for them during the next few weeks of “overlap” between the two teams, as the Reeds complete their internship in November and the Windsors stay on with the Naskapi until April of next year. 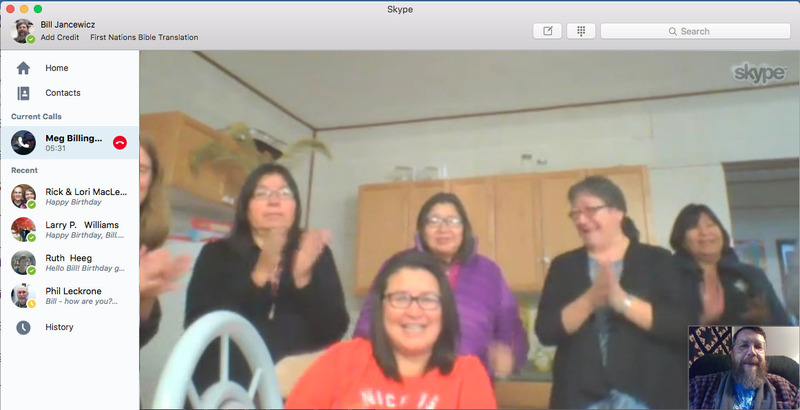 Norma Jean and I stayed in our old house in town in Schefferville, and came to Kawawa to work with the Naskapi language staff and community each day. 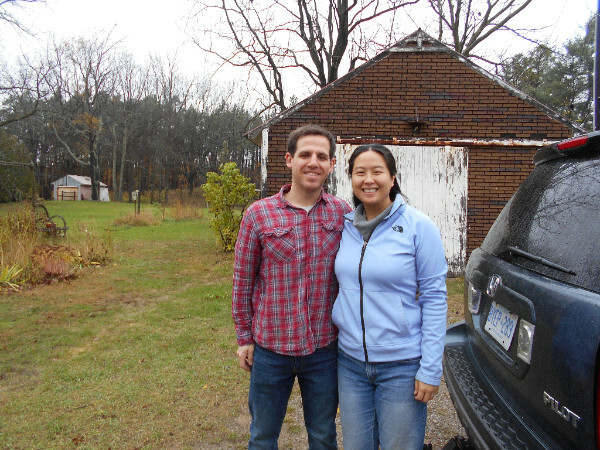 We were also working on the house getting it ready to rent or sell: we met with one couple who came up from Parole de Dieu—Institute Biblique Bethel (Word of Life–Bethel Bible Institute) in Sherbrooke. 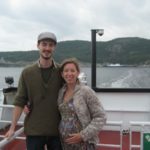 This couple is listening for God’s call in their own lives for ministry among the Naskapi and Innu people in Quebec: their names are Serge & Minna Lauzon. 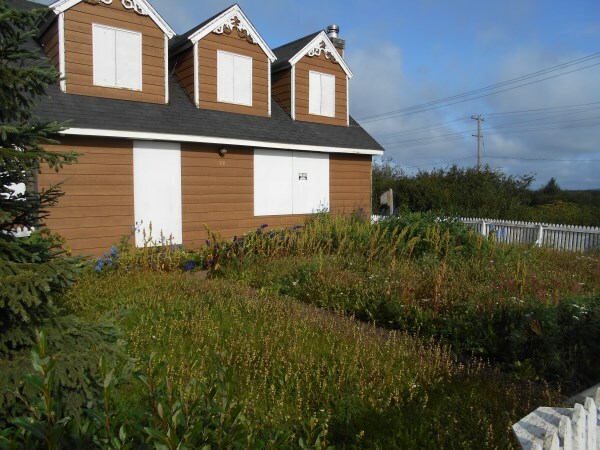 We are waiting and praying with them for direction concerning our house in Schefferville: they may be in a position to rent or eventually buy the house, depending on how God leads them in the weeks to come. 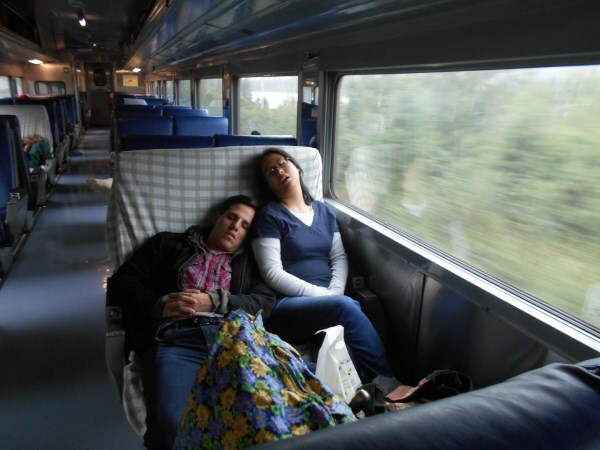 They spent four days at our house there with us during the two weeks we were there ourselves. Won’t you pray for them with us? 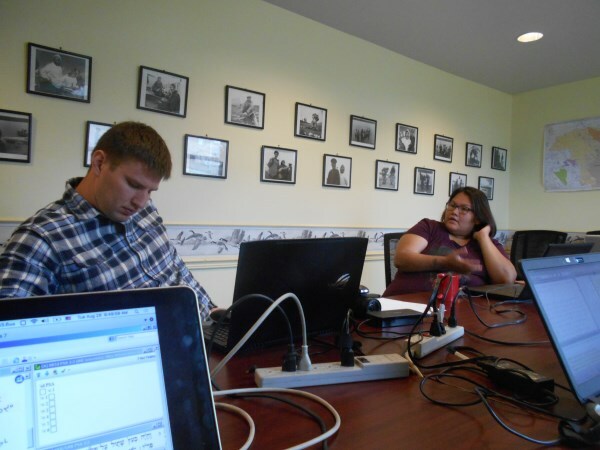 The Naskapi translation team continues to work on the team-checking and review of the book of Exodus. 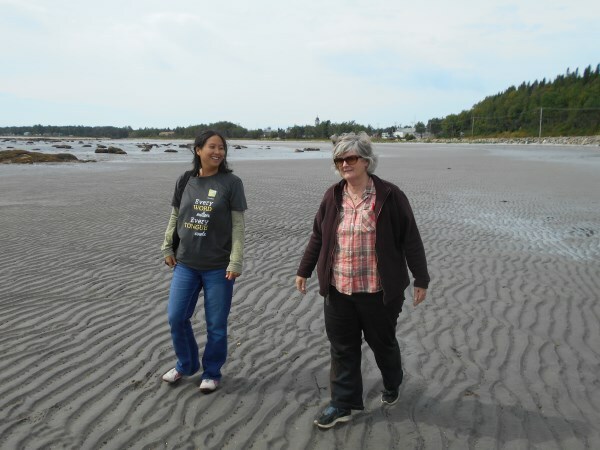 There are still some style and naturalness (and consistency and acceptability) issues that the team is working through. The linguistics intern teams will be guiding the translation team toward the completion and publication of this book in the weeks to come. 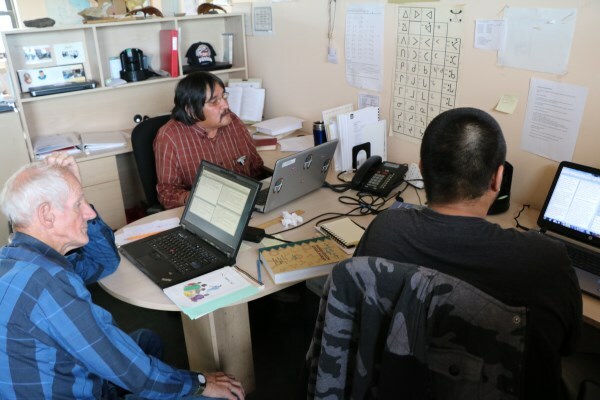 They also are helping the Naskapi develop a long term translation and scripture engagement plan that provides the Naskapi community with an Old Testament panorama that can be achieved by focusing their efforts on chronological selections from the remaining Old Testament. 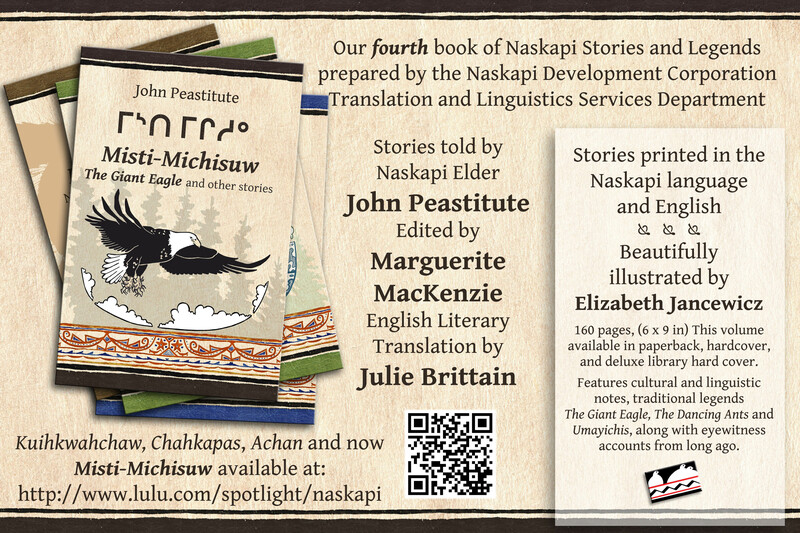 And this with continued work on the Naskapi dictionary, grammar and literacy. 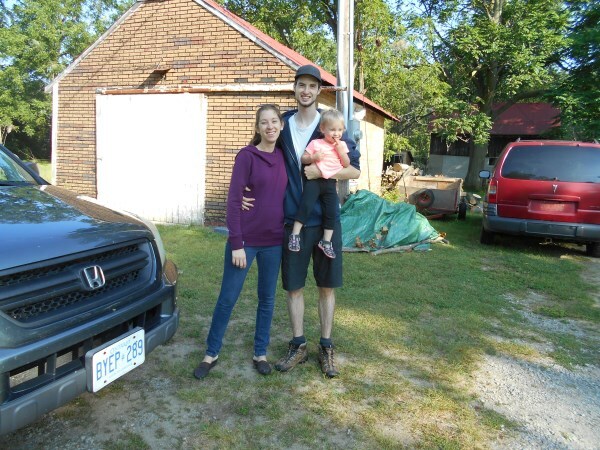 The Kingfisher Lake Oji-Cree translation committee has invited Matthew & Caitlin to come live with them at their community in Northern Ontario very soon after their internship is completed in April of next year. 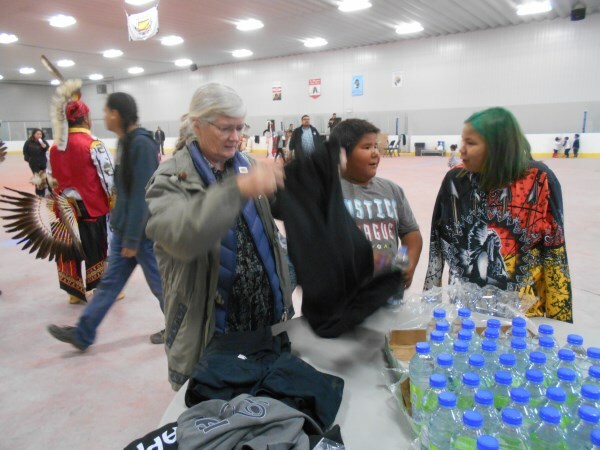 And there are several Swampy Cree communities to the northwest of the Oji-Cree in northern Manitoba that have indicated an interest in having Alice & Martin come to work with them there. 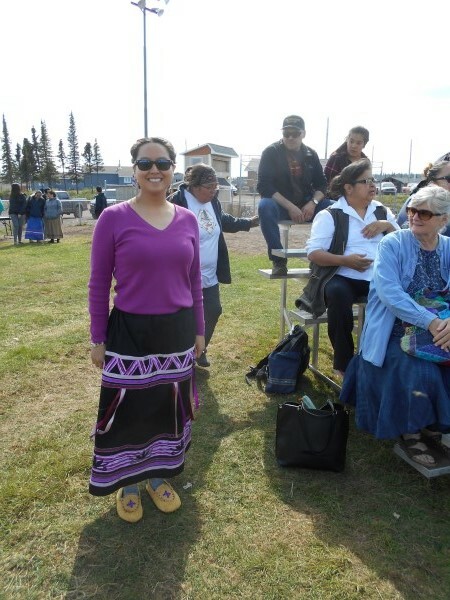 Bill will be visiting Swampy Cree speakers and church leaders at a clergy conference at Thompson, Manitoba in October. Please pray that God will make His plan and His will clear to all concerned, so that this language and all the other First Nations language groups in Canada that have been waiting for the scriptures in their mother tongues won’t have to wait too much longer. 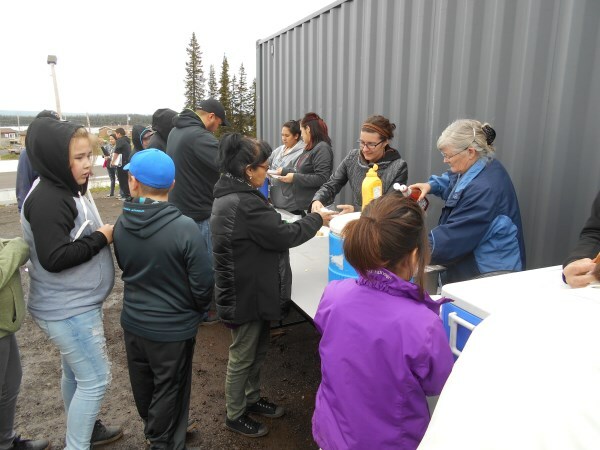 Thank you for your prayers for us over the many miles and days of this trip, and for your continued prayers for the Naskapi, Cree, Innu and Oji-Cree; and for the Windsors and the Reeds and others who are being called to join in what God is doing in the north. 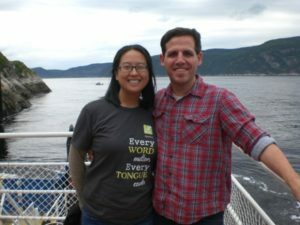 PS: as a reminder, please take the time to visit the websites of the Next Generation as they serve the Naskapi and continue to walk in obedience and faith, and as they prepare themselves to help other language groups experience the joy of hearing and knowing God’s Word in their own languages. 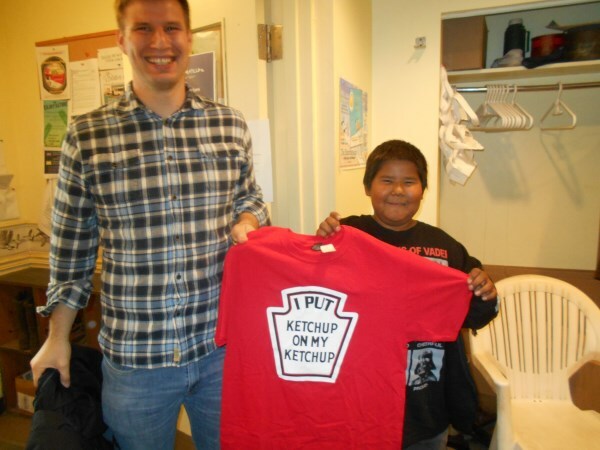 …and scroll down to see more pictures of our time with the Naskapi community! 11:00 pm and STILL not sleepy! 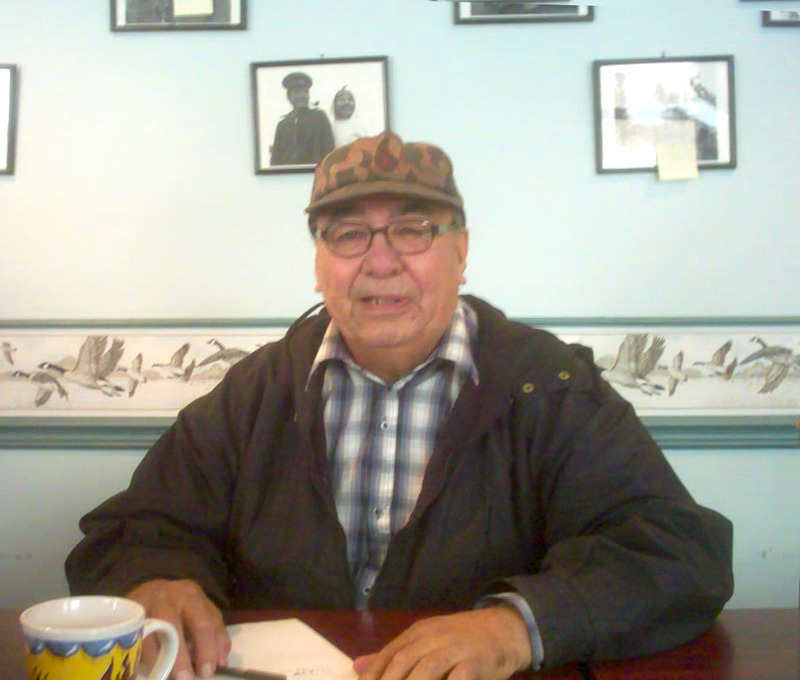 Bill and David Swappie–he reads the Naskapi Bible every day. 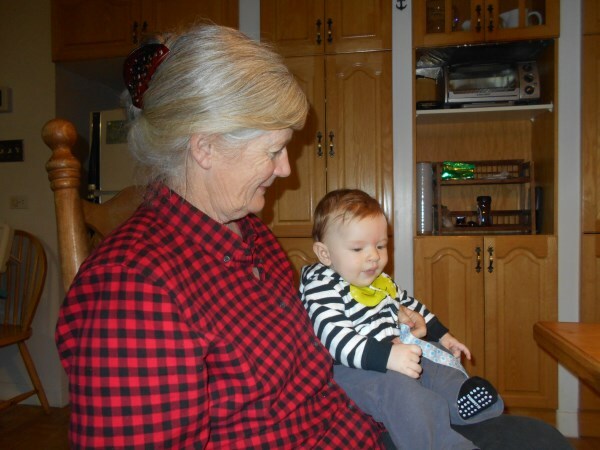 Norma Jean with Suzan Swappie–…so does she. 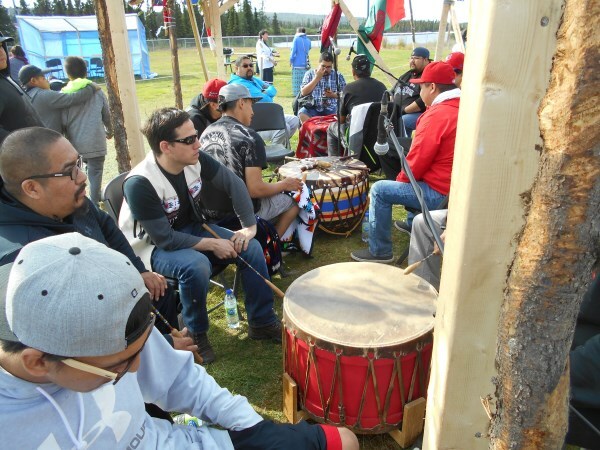 To help the new teams with a smoother transition to their in-field training period, they accompany us on one of our working trips to the Naskapi community. 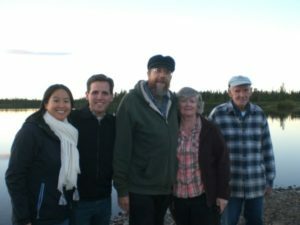 In August of 2016, Martin and Alice Reed came with us to visit the Naskapi community of Kawawachikamach, as their part of their introduction to the situation in Canadian First Nations, as well as a chance for us to get to know them better. 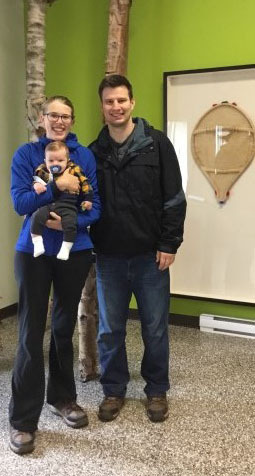 You may remember that last year at this time, Matthew and Caitlin Windsor accompanied us to Kawawachikamach on a similar visit. 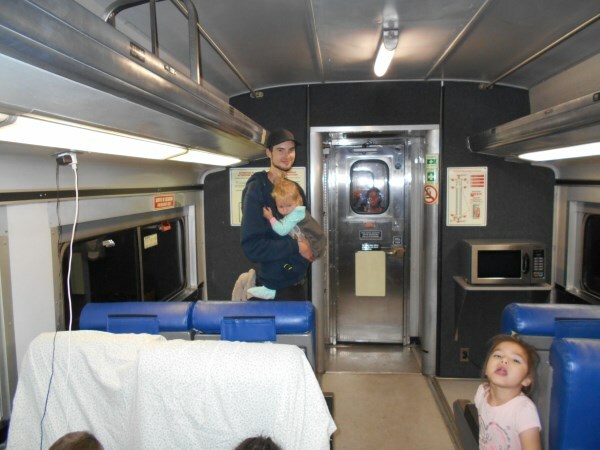 You can read about that trip at this link here <link>. 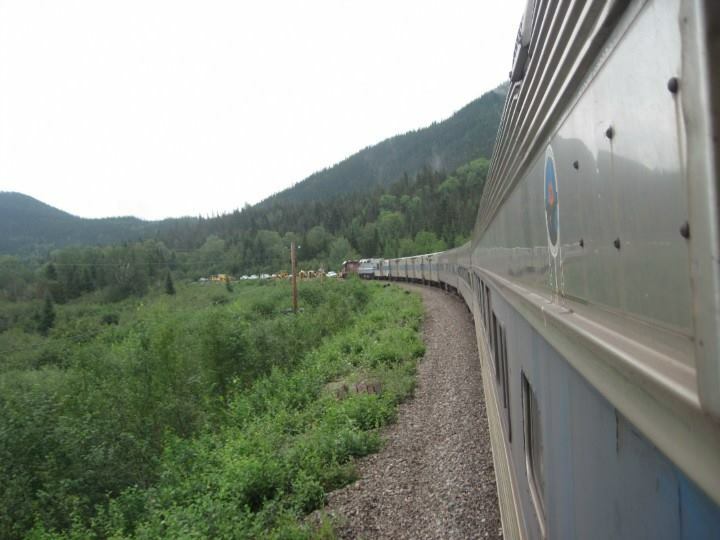 On this year’s trip, beginning August 21, we picked up Alice and Martin at the Buffalo, NY airport, and from there we drove for the next three days together up through southern Ontario along the north shore of the St. Lawrence in Quebec to Sept-Iles, were we boarded the train to Schefferville. 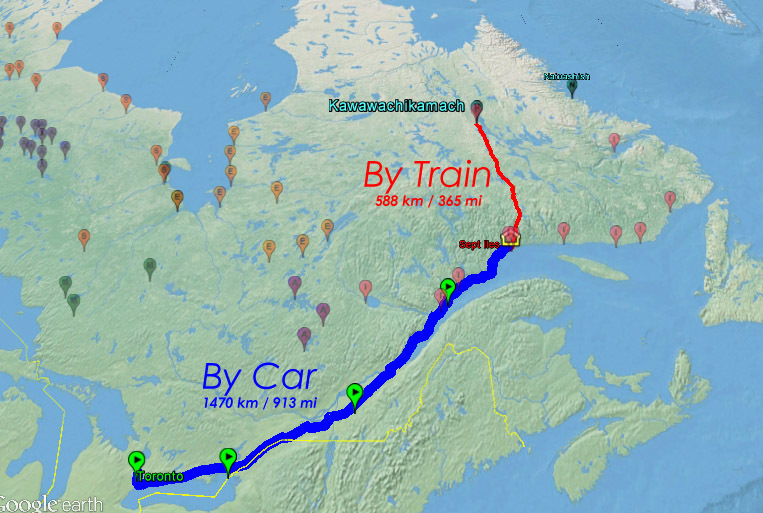 The train ride this time was 16 hours, arriving at Schefferville near midnight. 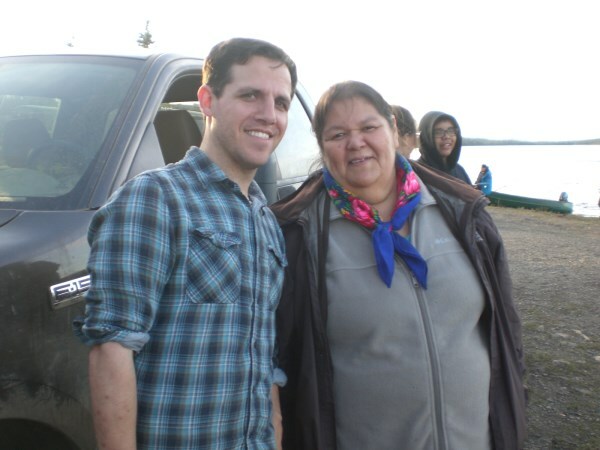 We arrived at the Naskapi community of Kawawachikamach in the wee hours of Friday morning, August 26. We were met there in Kawawachikamach by translation consultant Watson Williams and his wife Linda. 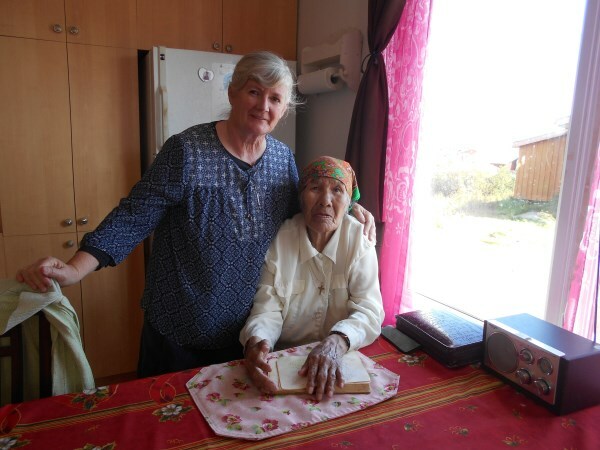 Watson had already been there in the Naskapi community working with the Naskapi translators on the exegetical checking for the book of Exodus for the previous two weeks. The book of Exodus: the story of Moses, the deliverance of the people of Israel from Egypt and the establishment of the covenant with God’s people is 40 chapters long and contains more than 1200 verses. 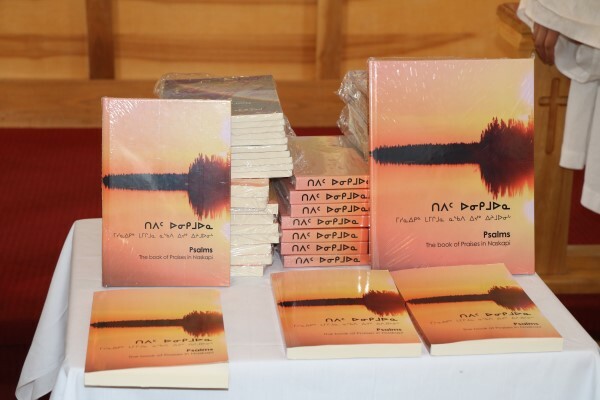 It has been one of the major projects in the Naskapi translation program since the publication of the Naskapi New Testament in 2007. 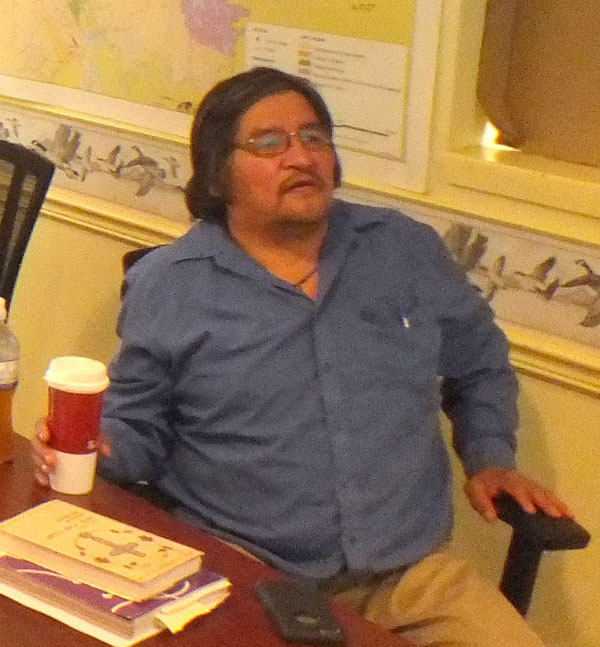 Naskapi translator Tshiueten Vachon completed the first draft of this book earlier this year. When Watson heard that the book needed to be checked, he volunteered to come out of “retirement” and return to the Naskapi community again to help them accomplish this check. 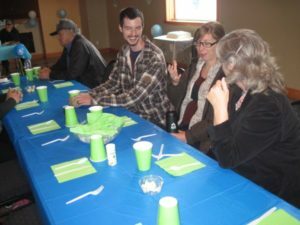 Watson had been the main consultant who helped the Naskapi team with their New Testament checking a decade ago, and also checked the Old Testament Lectionary lessons in 2010. 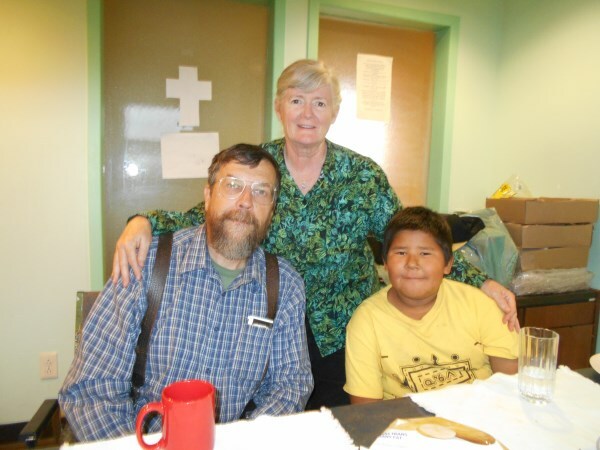 He works very well with the Naskapi translators, and is well-loved by the Naskapi people, and we are all very grateful that he was able to come with Linda to work with the team. 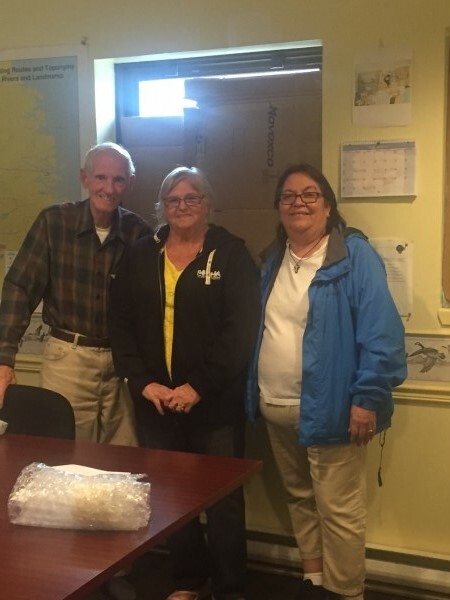 We were there with Martin and Alice to observe the last day of checking, and they were able to see first-hand Watson’s procedure of working with the translators, asking questions, verifying the accuracy of the translation, and making suggestions for improvements. 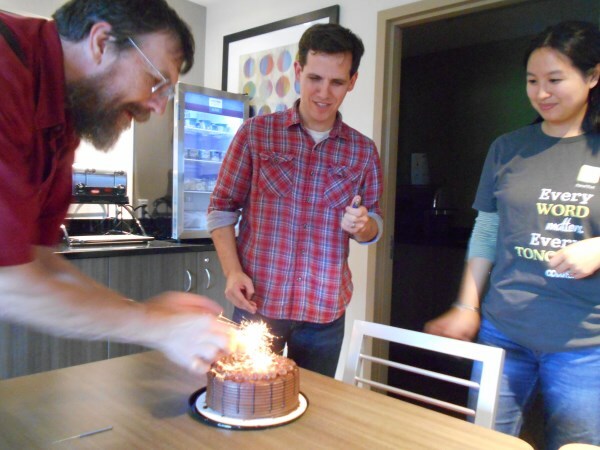 On that last day, the translation team completed the checking through the end of chapter 30 of Exodus, about 73% of the book. 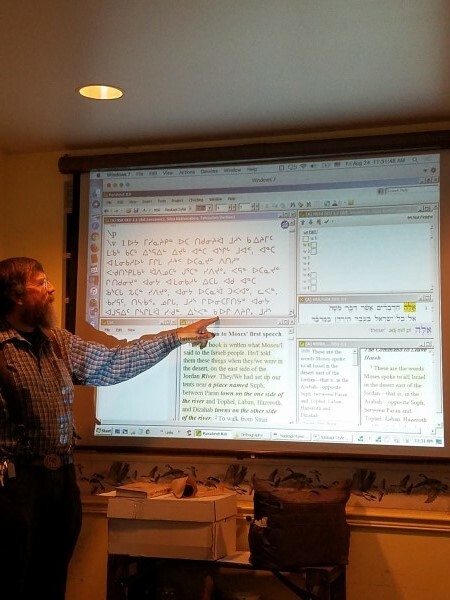 Watson then provided the translators with a detailed series of steps that they can follow so that in the weeks to come they can finish checking the remaining 325 verses with Watson “off-site”, communicating their questions and answers by internet. 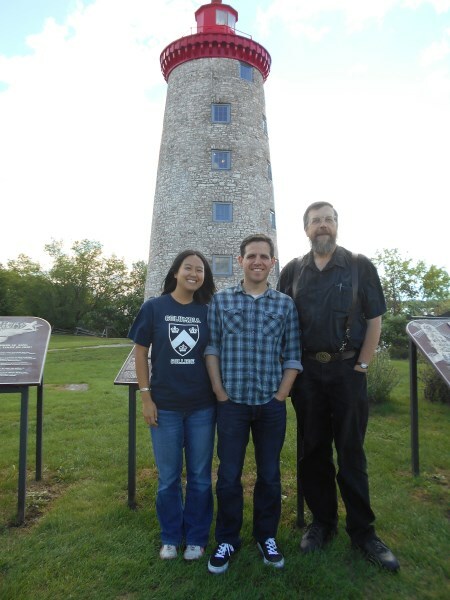 It was an excellent opportunity for Martin and Alice to see Watson at work with team. If you can read the Bible yourself, it’s because you can read. If you can read (thank a teacher!) it’s because you can and have read many, many other books in your own language. 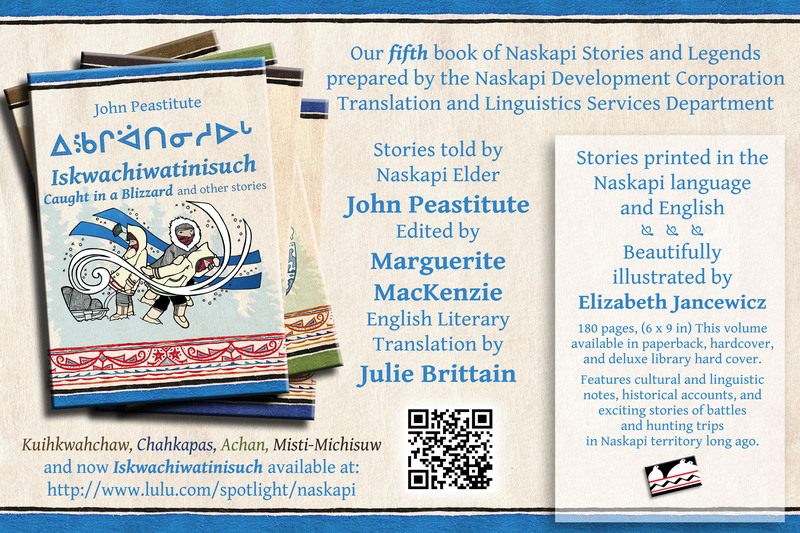 Naskapi reading and writing is now taught at the Naskapi school in the early years as the language of instruction, and while there is a growing collection of children’s books in Naskapi, it is also important to have good quality Naskapi language literature by Naskapi authors, suitable for all ages. 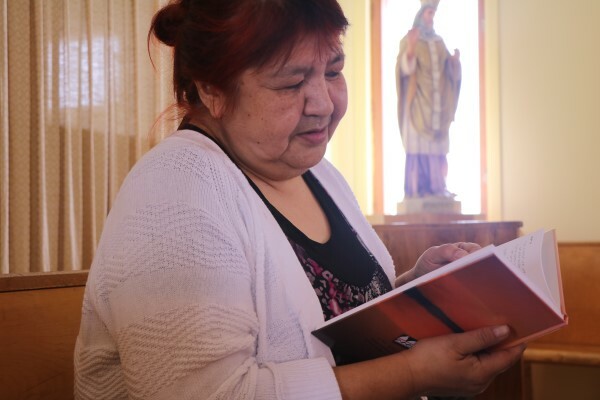 One project we have been helping to coordinate with the Naskapi translators is the production of a book series of traditional stories and legends. 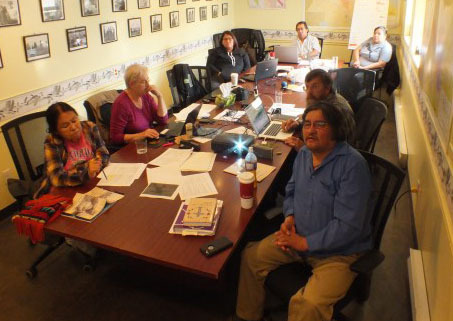 We work with the Naskapi translation team and a consultant linguist, Dr. Marguerite MacKenzie, professor emeritus from Memorial University of Newfoundland. We arrived the same week that the fourth volume in this series “The Giant Eagle and other stories” was released in the community and online, and also took part in the transcription and linguistic analysis of the next set of stories for the next volumes. 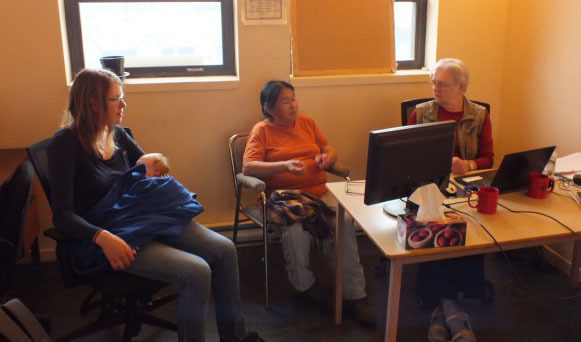 Again, having Martin and Alice participate in the day-to-day work by the Naskapi translators working with the consultant linguists gave them another excellent opportunity to experience another facet of language development work. 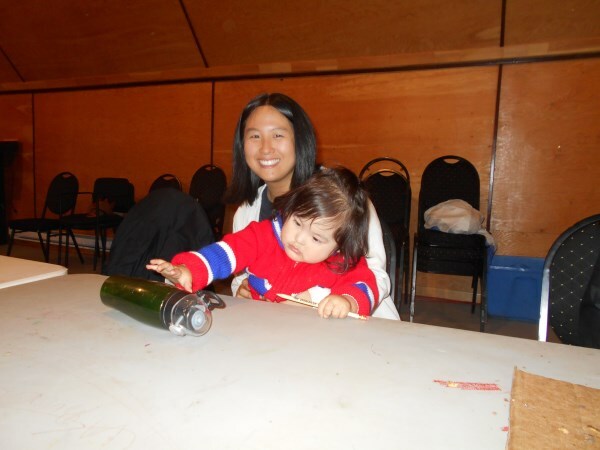 Along with our work activities that Alice and Martin eagerly participated in, they also had excellent opportunities to get to know about the people and the place where God has called us to serve and begin to get accustomed to what it’s like to work in a remote northern First Nations community. We all attended Naskapi church services, a baby christening celebration, and several community cultural events that were taking place during the days we were in Kawawachikamach. 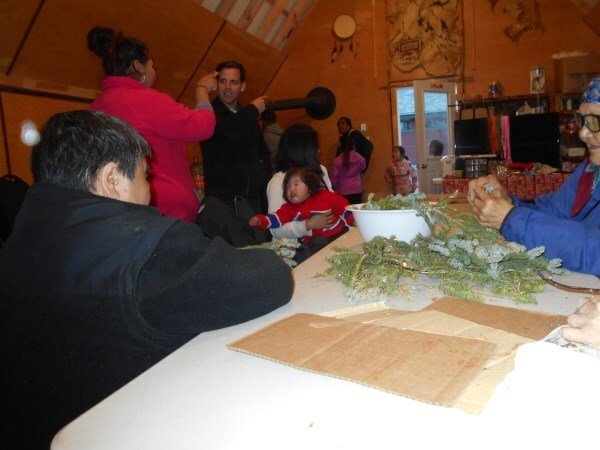 Alice and Martin began to learn to speak a few Naskapi phrases, started to think about Algonquian grammatical structure, learn about gathering and processing traditional Naskapi medications, and participate in a community fishing derby. The relationship-building went in both directions too, as the Naskapi welcomed them into their lives and activities, and clearly let them know that the Naskapi themselves are looking forward to the days when Alice and Martin will be able to spend a longer period of service and getting to know the people at Kawawachikamach better. 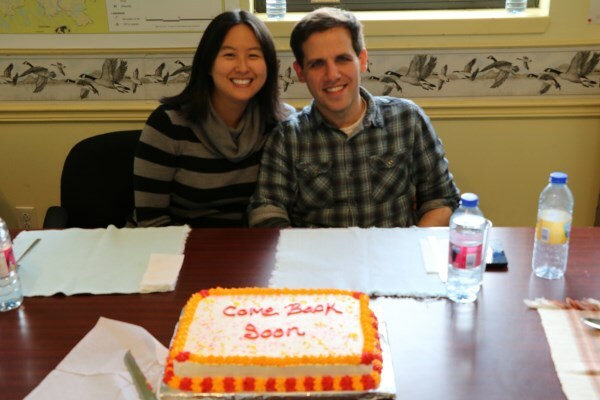 Some have asked if the new teams that God is sending to work with us are our “replacements”. Well, not exactly. 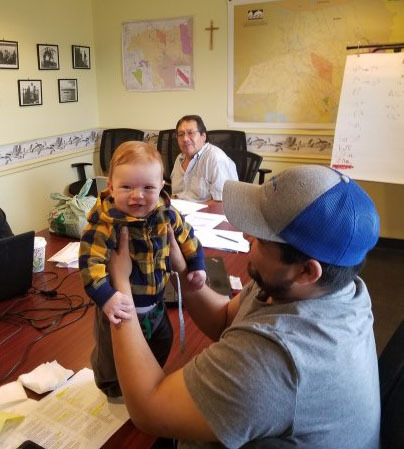 It became clear that God is at work in many First Nations communities across Northern Canada, and that for us to simply move on to another language project after Naskapi would not nearly begin to meet the need, besides the fact that the Naskapi team still needs continued support. 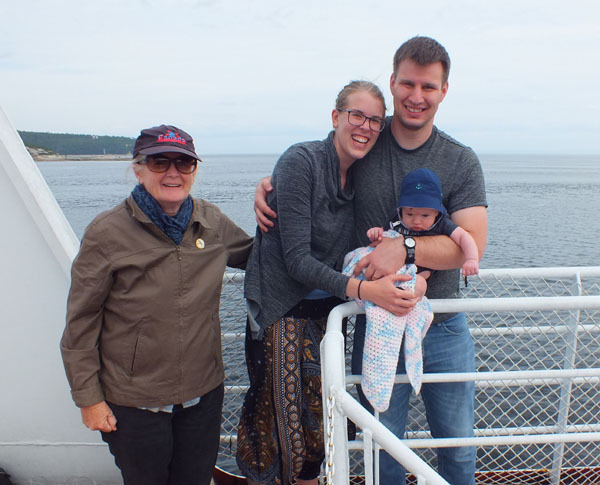 So in answer to your prayers God has called additional Bible Translation facilitation teams Matt and Caitlin Windsor and Alice and Martin Reed to serve in some of these other First Nations Bible Translation projects. 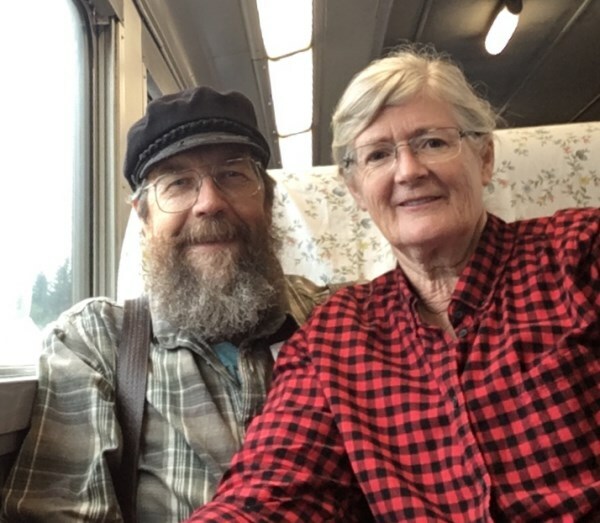 They are both working on building up a team of partners who will pray for and support their work through Wycliffe Bible Translators, and they are completing their final preparations to leave home to work in an isolated northern community to do this. 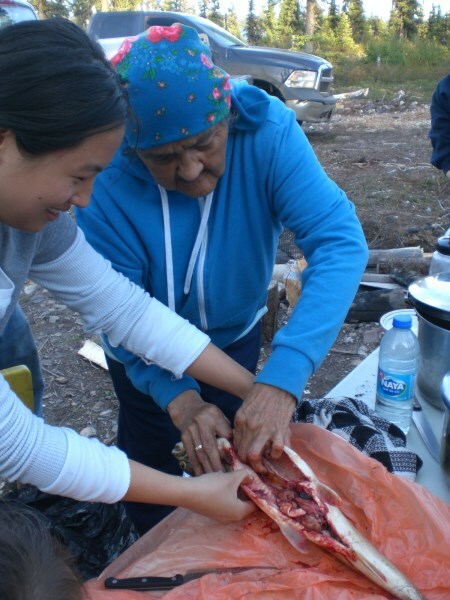 Since the languages are all closely related, and the values and culture of these language communities share a lot in common, their planned in-field training period serving in a linguistics internship with Naskapi for several months will continue to support the Naskapi project in signific ant ways, moving the Naskapi team closer to a sustainable level of capacity, while also giving the new teams the practical skills and experience that they will need to work in the language communities that are still waiting for God’s Word in their mother tongues. This will also enable us to leverage our own experience so that we can support these new teams as mentors, while God continues to use us to assist the other language projects where we have the privilege to serve. 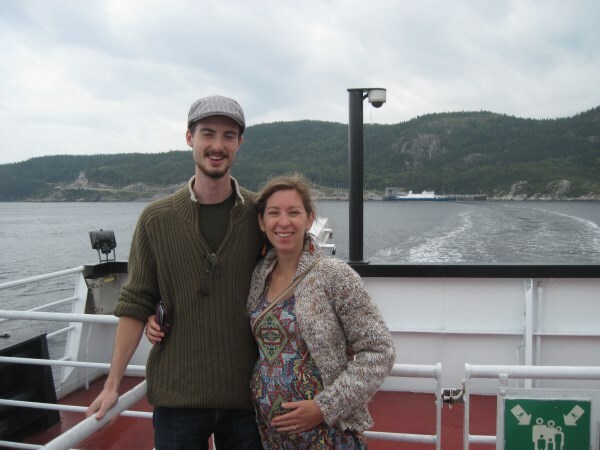 Both the Windsors and the Reeds hope to begin their Linguistics Internships with the Naskapi project sometime in 2017, and be ready to move on to another language community, such as Cree, Oji-Cree, or Innu, who even now are still waiting for the scriptures in their language. 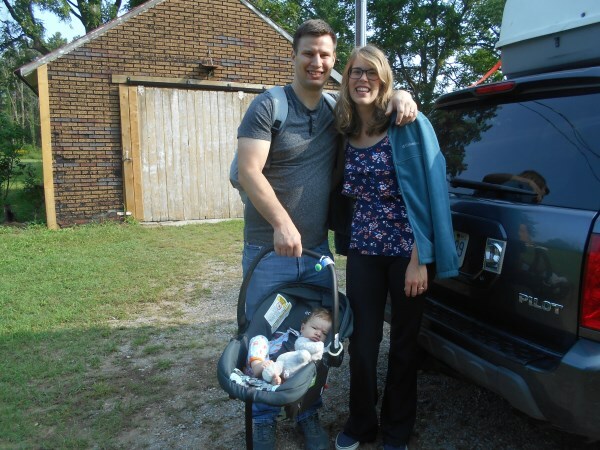 Please continue to pray for Alice and Martin Reed, and for Matthew and Caitin Windsor, as they continue to prepare themselves and seek adequate support so that they may move to the north and begin their internships. 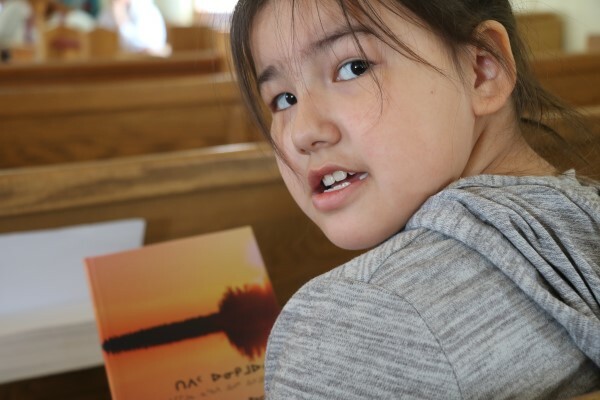 Pray for the Naskapi team as they finish the book of Exodus and learn to work on their language program with more and more confidence and ability.